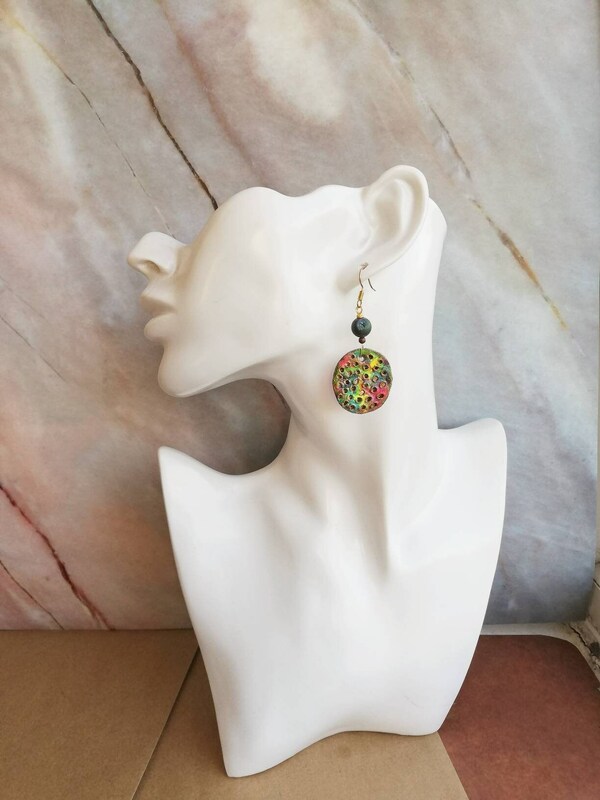 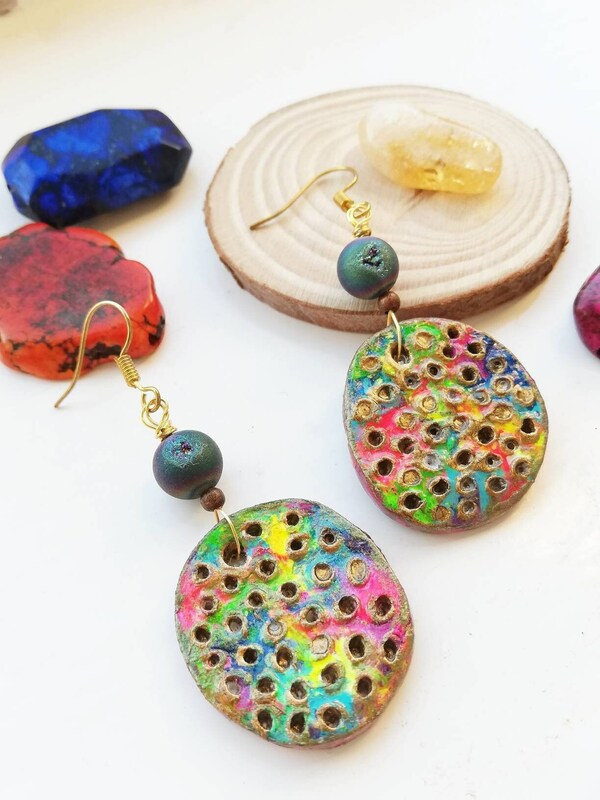 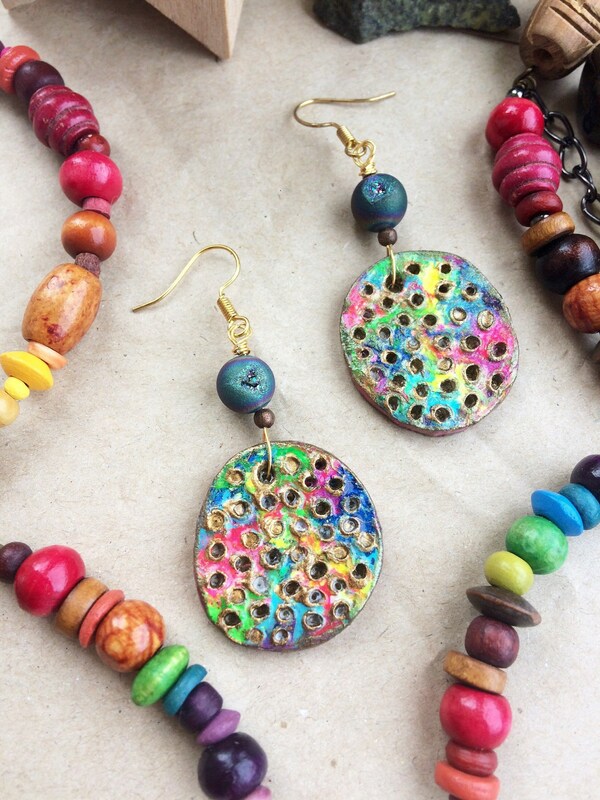 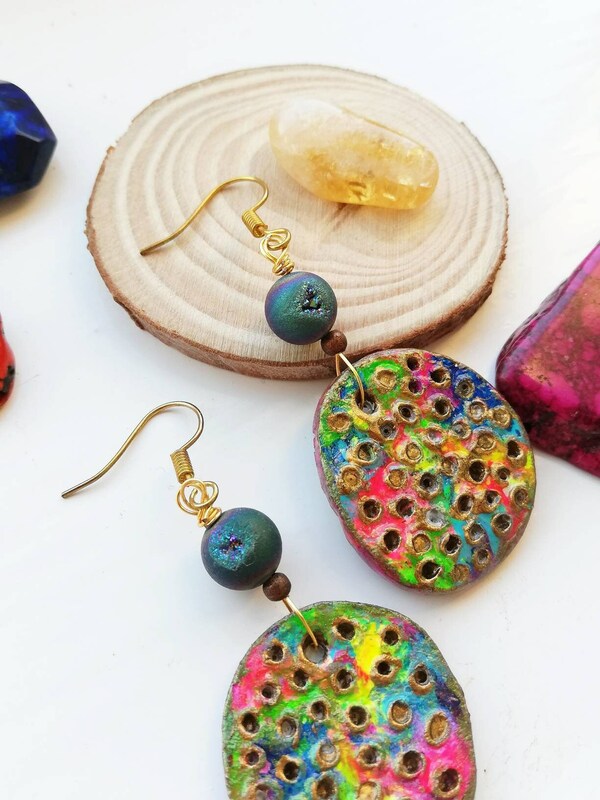 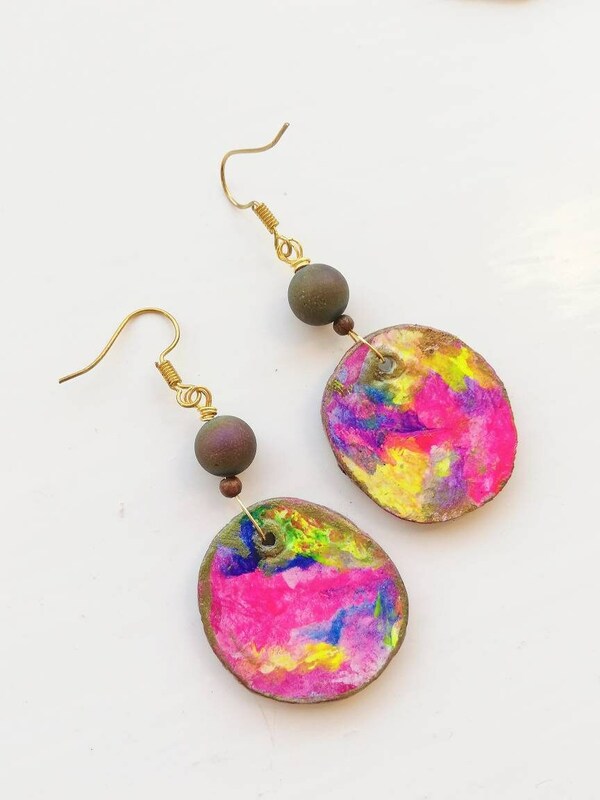 Some really unusual, artisan, bohemian earrings with handmade and hand painted clay pendants. 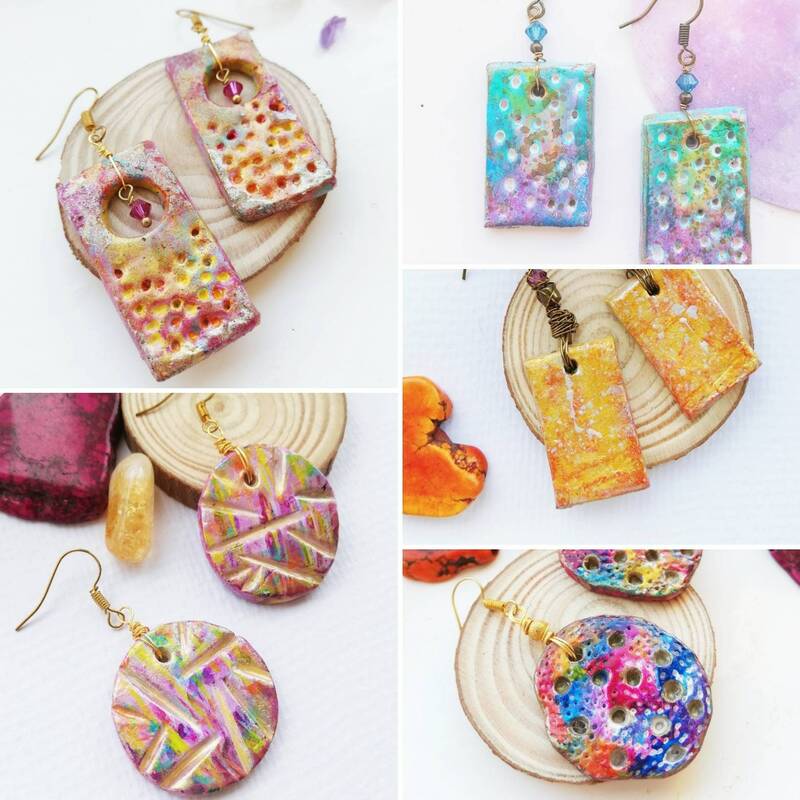 The pendants are textured and have a metallic gold finish with a bright abstract rainbow of colours in pink, yellow, green, blue and purple. 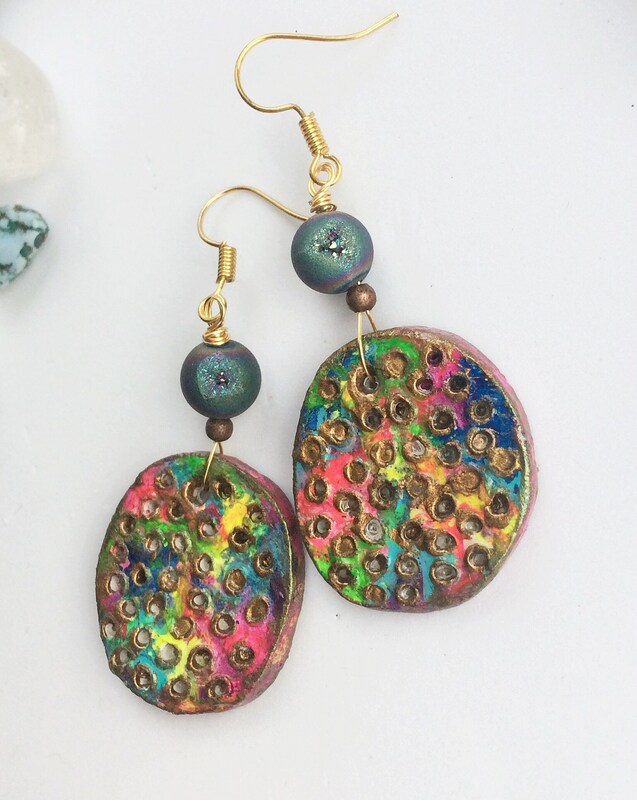 The bead is a spectacular druzy agate with sparkling geode crystals. 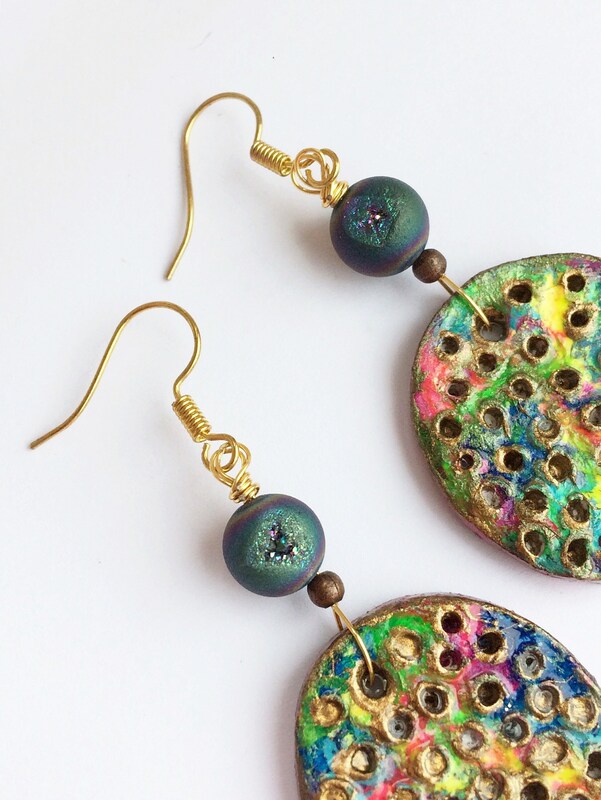 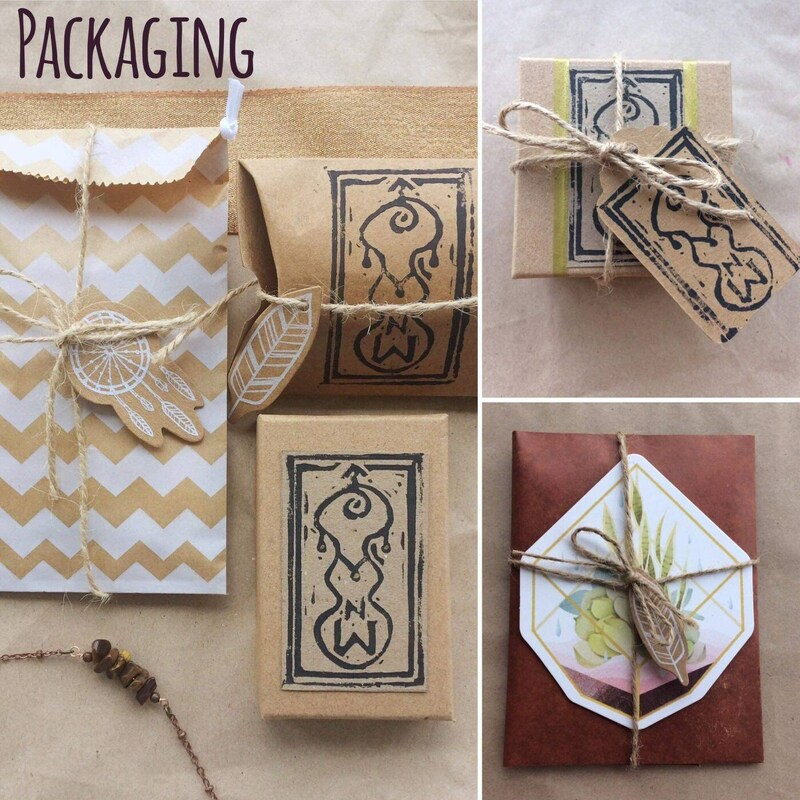 The pendant and bead are affixed with hand wrapped gold coloured wire and finished with gold coloured ear wires. 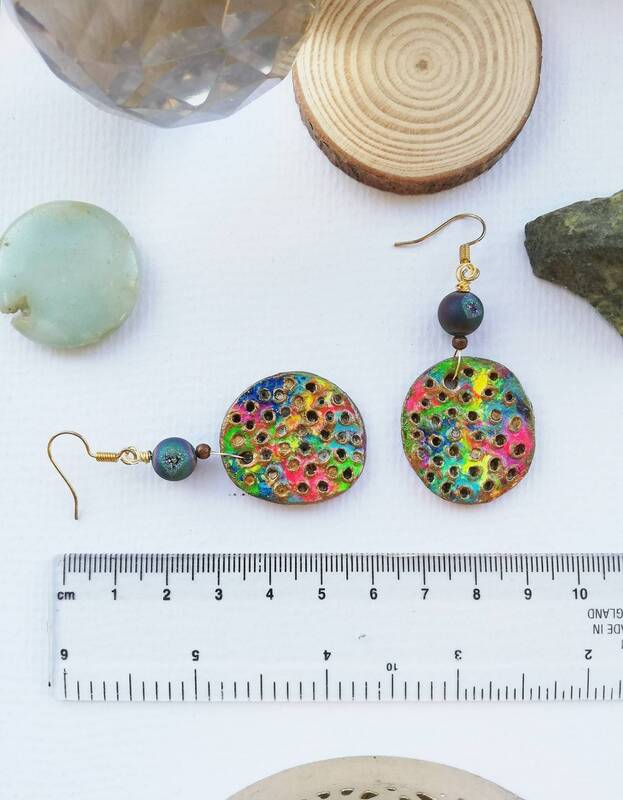 The width of the pendant is 4.5cm and the drop length for the earrings is 4.5cm.